By accessing or using this Web site or any other web sites of PropertyBlogs.co.nz, its affiliates and agents (“PropertyBlogs.co.nz”, “PropertyBlogs.co.nz Network”) with links to these Terms of Service (the “General Terms”) (the “Site”) in any way, including using the services and resources available or enabled via the Site by PropertyBlogs.co.nz or users of the Site (“Users”) (the “PropertyBlogs.co.nz Network”), downloading any information, data, documents, communications, files, text, images, photographs, graphics, videos, webcasts, tools, resources, software and products made available or enabled via the Site or PropertyBlogs.co.nz Network by PropertyBlogs.co.nz or Users (“Materials”), or merely browsing the Site, you agree to and are bound by the General Terms and the PropertyBlogs.co.nz Privacy Statement, which is incorporated herein by reference. If you do not agree to all of the terms and conditions contained in the General Terms and the Privacy Statement, do not access this Site or PropertyBlogs.co.nz Network. You may not use the PropertyBlogs.co.nz Network, or accept the General Terms, if (i) you are not of legal age to form a binding contract with PropertyBlogs.co.nz, or (ii) you are a person barred from accessing the PropertyBlogs.co.nz Network under the laws of the country in which you reside or from which you access the PropertyBlogs.co.nz Network. PropertyBlogs.co.nz may change the Terms from time to time at its sole discretion. When these changes are made, PropertyBlogs.co.nz will make a new copy of the General Terms available at the Site and any new Additional Terms will be made available to you from within, or through, the affected service on the PropertyBlogs.co.nz Network. PropertyBlogs.co.nz may, in its sole discretion, require you to provide consent to the updated Terms before further use of the PropertyBlogs.co.nz Network is permitted. Otherwise, your continued use of the Site or any affected service within the PropertyBlogs.co.nz Network constitutes your acceptance of the changes. Your access and use of the Site and the PropertyBlogs.co.nz Network will be subject to the most current version of the Terms posted on the Site, or within or through the affected service on the PropertyBlogs.co.nz Network, at the time of such use. Please regularly check the Site to view the then-current Terms. When you register for the PropertyBlogs.co.nz Network, you will be required to provide PropertyBlogs.co.nz with the following information: a user name (which may be pseudonymous), your first and last name, an e-mail address, and your city and country. In addition, you may choose to provide the PropertyBlogs.co.nz Network with additional information to be determined by you. You are responsible for maintaining the confidentiality of your information and password. You shall be responsible for all uses of your registration, whether or not authorized by you. You agree to immediately notify PropertyBlogs.co.nz of any unauthorized use of your registration or password. The Terms will continue to apply until terminated by either you or PropertyBlogs.co.nz as set forth below. If you want to terminate your agreement with PropertyBlogs.co.nz, you may do so by (i) notifying PropertyBlogs.co.nz at any time and (ii) closing your accounts for all of the services or Materials that you use within the PropertyBlogs.co.nz Network, where PropertyBlogs.co.nz has made this option available to you. Your notice should be sent, in writing, to PropertyBlogs.co.nz’s address set forth below. PropertyBlogs.co.nz reserves the right, at its sole discretion, to immediately, without notice, suspend or terminate, upon any breach by you of these Terms or otherwise, your registration(s) with or ability to access the PropertyBlogs.co.nz Network and/or any other service, specific content, digital products, products, courses or events, provided to you by PropertyBlogs.co.nz. Upon expiration or termination of these Terms, you shall promptly discontinue use of the PropertyBlogs.co.nz Network. In addition, the sections titled Term and Termination, Disclaimer of Warranties, Limitation of Liability, Indemnification, and General will survive any termination of this Agreement. You agree to comply with the PropertyBlogs.co.nz Guidelines and Policies (above). You alone are responsible for the content of your contributions to the PropertyBlogs.co.nz Network, and any consequences of such content. PropertyBlogs.co.nz reserves the right to terminate your registration or ability to access the PropertyBlogs.co.nz Network if it becomes aware and determines, in its sole discretion, that you are violating any of the Community Guidelines. If you are concerned about any Content on the PropertyBlogs.co.nz Network, we urge you to contact us whenever you see Unacceptable Content that violates these Community Guidelines. When you as a user submit Content, as defined above, to PropertyBlogs.co.nz, you represent that you have a royalty-free, perpetual, irrevocable, non-exclusive right (including any moral rights) and license to use, license, reproduce, modify, adapt, publish, translate, create derivative works from, distribute, derive revenue or other remuneration from, communicate to the public, perform and display the Content (in whole or in part) worldwide and/or to incorporate it in other works in any form, media, or technology now known or later developed, for the full term of any worldwide intellectual property right that may exist in such Content. By submitting Content, which shall include your username, to any “public area” of the PropertyBlogs.co.nz Network, you grant PropertyBlogs.co.nz a royalty-free, perpetual, irrevocable, non-exclusive and fully sublicensable right (including any moral rights) and license to use, license, reproduce, modify, adapt, publish, translate, create derivative works from, distribute, derive revenue or other remuneration from, communicate to the public, perform and display the Content (in whole or in part) worldwide and/or to incorporate it in other works in any form, media, or technology now known or later developed, for the full term of any worldwide intellectual property right that may exist in such Content. You also warrant that the holder of any worldwide intellectual property right, including moral rights in such Content, has completely and effectively waived all such rights and validly and irrevocably granted to you the right to grant the license stated above. Anything contained herein to the contrary notwithstanding, by submitting Content to any forums, comments or any other area on the PropertyBlogs.co.nz Network, you hereby expressly permit PropertyBlogs.co.nz to identify you by your username (which may be a pseudonym) as the contributor of such Content in any publication in any form, media or technology now known or later developed in connection with the Content, unless you otherwise notify PropertyBlogs.co.nz’s legal department at the address set forth below in writing at the time you submit the Content that you do not wish to be identified. Unauthorized access, distribution, reproduction, copying, retransmission, publication, sale, exploitation (commercial or otherwise), or any other form of transfer of any portion of the PropertyBlogs.co.nz Network, including but not limited to all Content, services, digital products, courses, events, tools or products is hereby expressly prohibited. You may order services or merchandise through the PropertyBlogs.co.nz Network from other persons not affiliated with PropertyBlogs.co.nz (”Seller“). All matters concerning the merchandise and services desired from Seller, including but not limited to purchase terms, payment terms, warranties, guarantees, maintenance and delivery, are solely between you and Seller. PropertyBlogs.co.nz makes no warranties or representations whatsoever with regard to any goods or services provided by Sellers. You will not consider PropertyBlogs.co.nz, nor will PropertyBlogs.co.nz be construed as a party to such transactions, whether or not PropertyBlogs.co.nz may have received some form of revenue or other remuneration in connection with the transaction or be liable for any costs or damages arising out of, either directly or indirectly, you or any other person involved or related to the transaction. PropertyBlogs.co.nz may include special routing icons which may be located within the PropertyBlogs.co.nz Network, the activation of which will allow you to access and learn more about PropertyBlogs.co.nz and other services provided by PropertyBlogs.co.nz whereby the use of such icons is free of additional charge to you. WHEN YOU ACCESS ANY OF THESE SERVICES, YOUR RIGHTS AND OBLIGATIONS WILL BE GOVERNED BY THE AGREEMENTS AND POLICIES RELATING TO THE USE OF THESE SERVICES. Third party services, websites and links thereto may be included within the PropertyBlogs.co.nz Network. By using this Site or the PropertyBlogs.co.nz Network, you recognize that these services, websites and links may use non-personally-identifiable information about you. When you access any of these services or websites, your rights and obligations will be governed by the agreements and policies relating to the use of those services or websites. YOU EXPRESSLY AGREE THAT USE OF THE PropertyBlogs.co.nz NETWORK, INCLUDING BUT NOT LIMITED TO ALL MATERIALS MADE AVAILABLE THROUGH THE PropertyBlogs.co.nz NETWORK, IS AT YOUR SOLE RISK. 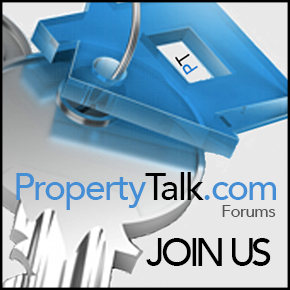 THE PropertyBlogs.co.nz NETWORK IS PROVIDED ON AN “AS IS” AND “AS AVAILABLE” BASIS. PropertyBlogs.co.nz EXPRESSLY DISCLAIMS ALL WARRANTIES OF ANY KIND, EXPRESS OR IMPLIED, INCLUDING WITHOUT LIMITATION ANY WARRANTY OF MERCHANTABILITY, FITNESS FOR A PARTICULAR PURPOSE OR NON-INFRINGEMENT. PropertyBlogs.co.nz MAKES NO WARRANTY THAT THE PropertyBlogs.co.nz NETWORK WILL MEET YOUR REQUIREMENTS, OR THAT THE PropertyBlogs.co.nz NETWORK WILL BE UNINTERRUPTED, TIMELY, SECURE, OR ERROR FREE; NOR DOES PropertyBlogs.co.nz MAKE ANY WARRANTY AS TO THE RESULTS THAT MAY BE OBTAINED FROM THE USE OF THE PropertyBlogs.co.nz NETWORK. YOU UNDERSTAND AND AGREE THAT ANY MATERIAL AND/OR DATA DOWNLOADED OR OTHERWISE OBTAINED THROUGH THE USE OF THE PropertyBlogs.co.nz NETWORK IS AT YOUR OWN DISCRETION AND RISK AND THAT YOU WILL BE SOLELY RESPONSIBLE FOR ANY DAMAGE TO YOUR COMPUTER SYSTEM OR LOSS OF DATA THAT RESULTS FROM THE DOWNLOAD OF SUCH MATERIAL AND/OR DATA. YOU UNDERSTAND AND AGREE THAT PropertyBlogs.co.nz DOES NOT GUARANTEE THE ACCURACY, COMPLETENESS OR USEFULNESS FOR A PARTICULAR PURPOSE OF ANY INFORMATION PROVIDED IN CONNECTION WITH THE PropertyBlogs.co.nz NETWORK. PropertyBlogs.co.nz IS NOT RESPONSIBLE FOR ANY ERRORS OR OMISSIONS OR FOR THE RESULTS OBTAINED FROM THE USE OF SUCH INFORMATION. THE INFORMATION IS PROVIDED WITH THE UNDERSTANDING THAT NEITHER PropertyBlogs.co.nz NOR ITS USERS, WHILE SUCH USERS ARE PARTICIPATING IN THE PropertyBlogs.co.nz NETWORK, ARE ENGAGED IN RENDERING LEGAL, MEDICAL, COUNSELING OR OTHER PROFESSIONAL SERVICES OR ADVICE. PropertyBlogs.co.nz ENCOURAGES YOU TO SEEK APPROPRIATE PROFESSIONAL ADVICE OR CARE FOR ANY SITUATION OR PROBLEM WHICH YOU MAY HAVE. YOU SHOULD NEVER DISREGARD PROFESSIONAL ADVICE, SERVICES, OR INFORMATION CONTAINED IN ANY PRODUCT PACKAGING OR LABEL BECAUSE OF ANY INFORMATION ON THE PropertyBlogs.co.nz NETWORK AND YOU SHOULD NOT USE THE CONTENT ON THE PropertyBlogs.co.nz NETWORK IN PLACE OF THE ADVICE OF A PROFESSIONAL. NO ADVICE OR INFORMATION, WHETHER ORAL OR WRITTEN, OBTAINED BY YOU FROM PropertyBlogs.co.nz OR THROUGH THE PropertyBlogs.co.nz NETWORK, ITS EMPLOYEES, CONSULTANTS AND/OR EXPERTS SHALL CREATE ANY WARRANTY NOT EXPRESSLY MADE HEREIN. PropertyBlogs.co.nz SHALL NOT BE RESPONSIBLE FOR ANY LOSS OR DAMAGE CAUSED, OR ALLEGED TO HAVE BEEN CAUSED, DIRECTLY OR INDIRECTLY, BY THE INFORMATION OR IDEAS CONTAINED, SUGGESTED OR REFERENCED IN THE PropertyBlogs.co.nz NETWORK, ITS DIGITAL PRODUCTS OR SERVICES. PropertyBlogs.co.nz MAKES NO WARRANTY REGARDING ANY MATERIALS PURCHASED OR OBTAINED THROUGH THE PropertyBlogs.co.nz NETWORK OR ANY TRANSACTIONS ENTERED INTO THROUGH THE PropertyBlogs.co.nz NETWORK. PropertyBlogs.co.nz IS NOT RESPONSIBLE FOR ANY CONTENT ON THE INTERNET OR WORLD WIDE WEB PAGES THAT IS CONTAINED OUTSIDE THE PropertyBlogs.co.nz NETWORK. WE MAKE NO REPRESENTATIONS AS TO THE QUALITY, SUITABILITY, FUNCTIONALITY OR LEGALITY OF ANY SITES TO WHICH PropertyBlogs.co.nz MAY PROVIDE LINKS, AND YOU HEREBY WAIVE ANY CLAIM YOU MIGHT HAVE AGAINST PropertyBlogs.co.nz WITH RESPECT TO SUCH SITES. PropertyBlogs.co.nz SHALL NOT BE LIABLE TO YOU FOR ITS BREACH OF THESE TERMS; FOR ANY INDIRECT, INCIDENTAL, SPECIAL OR CONSEQUENTIAL DAMAGES, RESULTING FROM THE USE OR THE INABILITY TO USE THE PropertyBlogs.co.nz NETWORK; FOR THE COST OF PROCUREMENT OF SUBSTITUTE GOODS AND SERVICES; RESULTING FROM ANY GOODS, SERVICES, DIGITAL PRODUCTS, EVENTS, COURSES AND/OR CONTENT PURCHASED OR OBTAINED OR MESSAGES RECEIVED OR TRANSACTIONS ENTERED INTO THROUGH THE PropertyBlogs.co.nz NETWORK; RESULTING FROM UNAUTHORIZED ACCESS TO OR ALTERATION OF YOUR TRANSMISSIONS OR DATA, INCLUDING BUT NOT LIMITED TO, DAMAGES FOR LOSS OF PROFITS, BUSINESS INTERRUPTION, USE, DATA OR OTHER INTANGIBLES; EVEN IF PropertyBlogs.co.nz HAS BEEN ADVISED OF THE POSSIBILITY OF SUCH DAMAGES, REGARDLESS OF THE FORM OF ACTION, WHETHER IN CONTRACT, TORT (INCLUDING NEGLIGENCE), STRICT PRODUCT LIABILITY, OR ANY OTHER LEGAL OR EQUITABLE THEORY. Content Storage and SecurityPropertyBlogs.co.nz assumes no responsibility for the deletion of or failure to store User-created Content. We use a variety of industry-standard security technologies and procedures to help protect your content from unauthorized access, use, or disclosure. Despite these measures, you should know that PropertyBlogs.co.nz cannot fully eliminate security risks associated with your content. Newsletters that include Promotional MessagesPropertyBlogs.co.nz may send e-mail messages to you containing labeled advertisements, promotions, etc. PropertyBlogs.co.nz makes no representation or warranty with respect to the content of any such e-mail messages or any goods or services which may be obtained from such third parties, and you agree that neither PropertyBlogs.co.nz nor such third party shall have any liability with respect thereto. When you receive newsletters or promotional communications from us, you may indicate a preference to stop receiving further communications from us and you will have the opportunity to “opt-out” by following the unsubscribe instructions provided in the e-mail you receive or by contacting us directly. Should you decide to opt-out of receiving future mailings, we may share your e-mail address with third parties to ensure that you do not receive further communications from third parties. IndemnificationYou agree to indemnify and hold each of PropertyBlogs.co.nz, its parents, subsidiaries, affiliates, officers, directors, employees, sponsors, successors and assigns harmless from any claim or demand, including reasonable attorneys’ fees, made by any third party due to or arising out of your use of the PropertyBlogs.co.nz Network, the violation of these Terms by you, or the infringement by you, or any other subscriber or user of your account, of any intellectual property or other right of any person or entity. If PropertyBlogs.co.nz becomes aware of any possible violations by you of the Terms, PropertyBlogs.co.nz reserves the right to investigate such violations. If, as a result of the investigation, PropertyBlogs.co.nz believes that criminal activity has occurred, PropertyBlogs.co.nz reserves the right to refer the matter to, and to cooperate with, any and all applicable legal authorities. PropertyBlogs.co.nz is entitled, except to the extent prohibited by applicable law, to disclose any information or Materials on the PropertyBlogs.co.nz Network, including your Content, in PropertyBlogs.co.nz’s possession in connection with your use of the PropertyBlogs.co.nz Network to (i) comply with applicable laws, legal process or governmental request; (ii) enforce the Terms; (iii) respond to any claims that your Content violates the rights of third parties; (iv) respond to your requests for customer service; or (v) protect the rights, property or personal safety of PropertyBlogs.co.nz, its Users or the public, and law enforcement or other government officials, as PropertyBlogs.co.nz in its sole discretion believes to be necessary or appropriate. Pursue any other action which PropertyBlogs.co.nz deems to be appropriate. If your registration(s) with or ability to access the PropertyBlogs.co.nz Network, any other PropertyBlogs.co.nz community and/or any other Material or services provided to you by PropertyBlogs.co.nz is discontinued by PropertyBlogs.co.nz due to your violation of any portion of these Terms or for conduct otherwise inappropriate for the community of the PropertyBlogs.co.nz Network, then you agree that you shall not attempt to re-register with or access the PropertyBlogs.co.nz Network, any other PropertyBlogs.co.nz community and/or any other Materials or services provided by PropertyBlogs.co.nz, through use of a different member name or otherwise, and you acknowledge that you will not be entitled to receive a refund for fees related to those Materials or services to which your access has been terminated. In the event that you violate the immediately preceding sentence, PropertyBlogs.co.nz reserves the right, in its sole discretion, to immediately take any or all of the actions set forth herein without any notice or warning to you. This Site can be accessed from countries around the world and may contain references to PropertyBlogs.co.nz Network services and Materials that are not available in your country. These references do not imply that PropertyBlogs.co.nz intends to announce such services or Materials in your country. 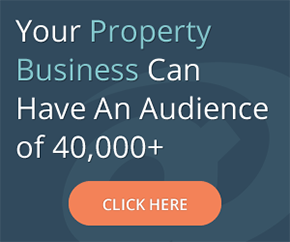 This Site is controlled, operated and administered by PropertyBlogs.co.nz from its offices in New Zealand. If you access the Site, the PropertyBlogs.co.nz Network or Materials from a location outside New Zealand, you are responsible for compliance with all local laws. Changes in ServicePropertyBlogs.co.nz reserves the right to terminate free access to the PropertyBlogs.co.nz Network, including any or all PropertyBlogs.co.nz services or Materials, with or without notice to you. PropertyBlogs.co.nz reserves the right (at PropertyBlogs.co.nz’s discretion) to provide you with notice of such change by prominently posting a notice on the PropertyBlogs.co.nz Network and/or sending written notice to you at any e-mail and/or post office address you have provided to PropertyBlogs.co.nz. Once free access is terminated, PropertyBlogs.co.nz may charge each subscriber any applicable fee, surcharge and/or membership fee for access to the PropertyBlogs.co.nz Network and/or any for-pay PropertyBlogs.co.nz services or Materials. Notice. Any notice provided to PropertyBlogs.co.nz pursuant to the Terms should be sent to PropertyBlogs.co.nz, PO BOX 750, Paraparaumu, New Zealand, Attn: Terms of Service. No Assignment. These Terms, and your rights and obligations herein, may not be assigned, subcontracted, delegated, or otherwise transferred by you without PropertyBlogs.co.nz’s prior written consent, and any attempted assignment, subcontract, delegation, or transfer in violation of the foregoing will be null and void. Independent Contractors. Your relationship to PropertyBlogs.co.nz is that of an independent contractor, and neither party is an agent or partner of the other. You will not have, and will not represent to any third party that it has, any authority to act on behalf of PropertyBlogs.co.nz.